Hello, friends! This is Kristen and I'm here to share with you some behind the scenes details about what goes on here on The Endless Meal. Read: all the juicy gossip. To help keep me on track. I love creating recipes, taking pictures and getting to know you. What I don't love so much is analyzing the nitty-gritty of where the money's coming from. But … in order to earn an income from food blogging, it's important to put down the camera, step out of the kitchen and crunch some numbers. Transparency. There's a lot that goes on behind the scenes of running a food blog and I like that I can share that with you. If you ever have any questions or wonder about how something works or where the money come from, I want you to have a space where you can feel comfortable asking your questions. I love blogging and I love sharing that with you. If I'm able to convince you to start your own blog I'll be one happy gal! 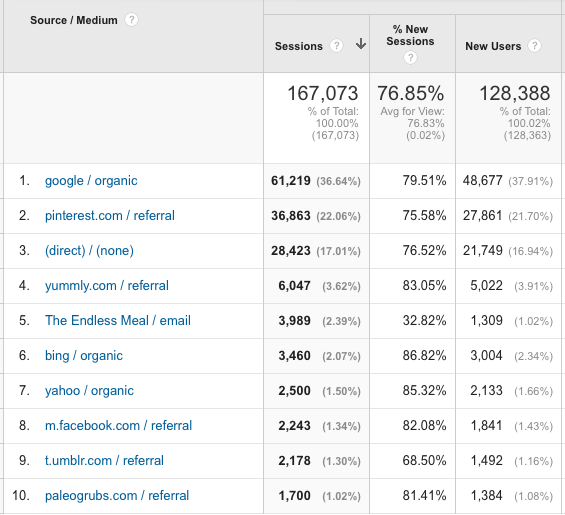 You'll see some big changes in this month's blog income report. The first major change you'll see is that nearly all the ad networks have been removed from the income list. Why? I'll tell you all about it in the What's Working section below. You'll also notice income from the #OhMyBlog Course and affiliate income. I'll fill you in on all the deets about both of these below. Last month in this What's Working section I said that AdThrive was rocking the ad optimization here on TEM. At that point, we had only been working together for 1 week. Now that a full month has passed I can say without any hesitation that AdThrive is amazing. Seriously, so awesome. 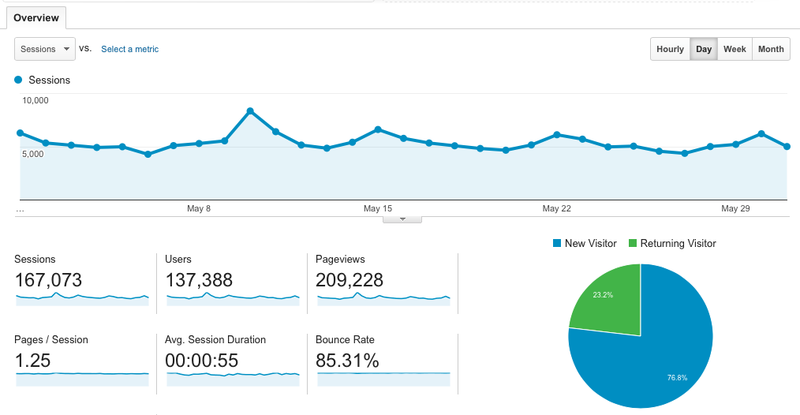 Over the past month, there has been an increase of over 100% in ad revenue. 123% increase, to be exact. And here's the best part … I have done absolutely nothing to make that happen. Zip. Zero. Nada. What that means for this blog is that I am able to spend more time creating recipes, taking photos, connecting with readers and doing the things I'm good at AND the things I enjoy doing. Acknowledging (and accepting) our strengths and weaknesses helps us to grow both personally and in business. It allows us to delegate tasks that we struggle with in order to focus on those we excel at. You know, like eating Lavender Lemon Angel Food Cake. 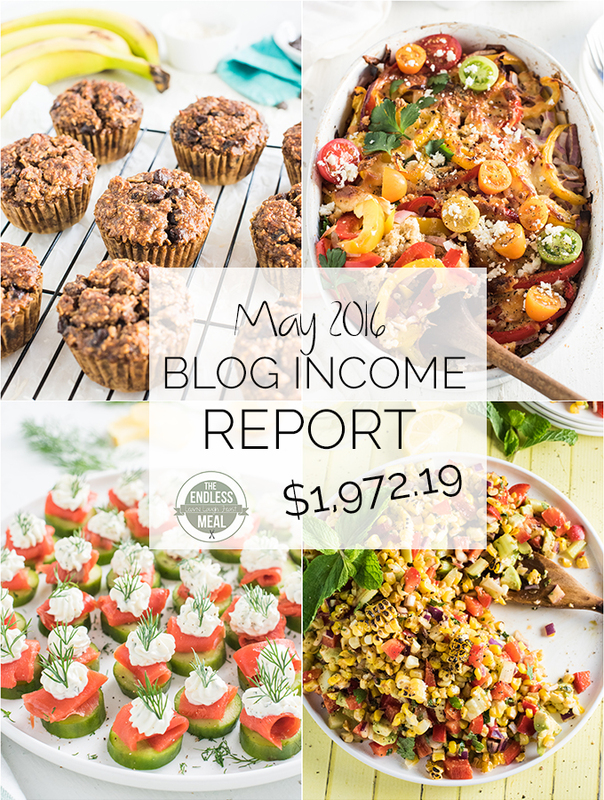 Thank you for being a part of this month's Blog Income Report. If you have any questions don't hesitate to reach out in the comments section below! I am so very happy to know that Kristen. AdThrive is indeed fantastic. But sadly it demands minimum 60% of US traffic and which is why I couldn’t work with them. I wish I could. It’s truly amazing to see your income this month. Keep going. I would reach out to them again, even if your traffic is under 60%. I know they’ve recently changed some of their requirements so you might be able to get in now. I was turned down at first because of the same reason. Is it so?? How much US traffic you had, when you have been accepted by them? I mean what percentage US traffic you used to get during that time? I will reach them once again if my traffic too falls the same side. Thank you so much for this info. It is so! My US traffic always hovers around 60%, usually just a tiny bit under. 58 or 59% is really common for me. I’ve tried a few tricks to increase it, but so far nothing has worked for me. If I ever stumble across something that works, I’ll let you know! This is a very interesting post! I don’t plan on becoming a full-time blogger, but I’m curious as to how bloggers that use their sites as their revenue platforms make their income! Thank you so much for this helpful post! It brings so much insight!